Why a Hawaii VA Home Loan? You are here: Home / Updates / Can Student Loans Affect Your VA Home Loan? Can Student Loans Affect Your VA Home Loan? For certain disclosures please go to apmortgage.com/disclosures. Student loans are very common in the world we live in. They also present a huge obstacle for most, as most people who attend college will have them after they are finished. Student loan issues have become so bad that they are actually the number 1 cause of bankruptcy in the United States, which is actually interesting considering they can’t be forgiven through bankruptcy. Can student loans affect your ability to land a VA Home Loan? Of course they can. Even with GI Bill education benefits, veterans and active service members certainly shoulder their fair share of student loan debt, too. Simply having student loan debt doesn’t mean your road to qualifying for a VA home loan is automatically more difficult. But staying on top of this monthly obligation is absolutely critical. Lenders will typically need to include your student loan payment when calculating your monthly debt-to-income (DTI) ratio. They’ll also look for any signs that you’ve missed payments or defaulted on student loans, which can jeopardize your chances of securing a mortgage. Lets take a quick look at how student loans can indeed affect your VA Home Loan. Yes, you can defer and/or put your student loans into forbearance for years and years without having to pay anything. However, that same grace period doesn’t register the same way for mortgage lenders. They’re going to want to know the exact amount of your pending student loan payments, and they’ll absolutely look to factor that expense into your monthly DTI ratio. Six months is a drop in the bucket compared to the 360 months that comprise a 30-year mortgage term. Basically, you will be looked at as having to pay the loans, whether you are actually paying them or not at the time of application. There are other aspects that also come into play here, both that may hinder or help you. You offsetting payment plan, your overall debt, whether or not you may have a cosigner. All of these things and more will come into play during the process. 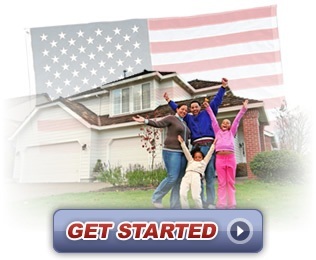 Every situation is different, you should discuss your situation in detail with a VA certified lender. Contact Us now and lets take a look at your unique situation. Can You Use the VA Loan for Home Repairs? Start a No Obligation Process! The VA Loan and Spousal Income: How Does it Work? *Hawaii VA Home Loans is run and operated by Tiare Fullerton, the Branch Manager at Mortgage Associates of Hawaii, a Division of American Pacific Mortgage Corporation and is not a Government website or agency.